What is an identity secure score? The identity secure score is number between 1 and 248 that functions as indicator for how aligned you are with Microsoft's best practices recommendations for security. A list of identity security best practices. 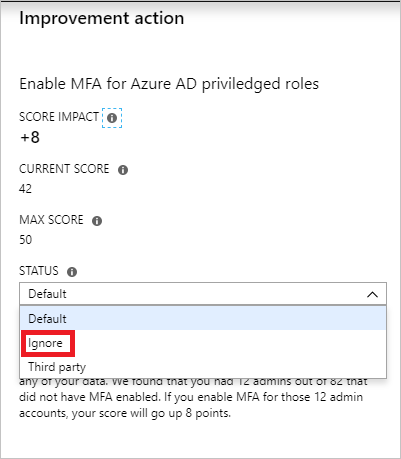 Each recommendation is measured based on your Azure AD configuration. 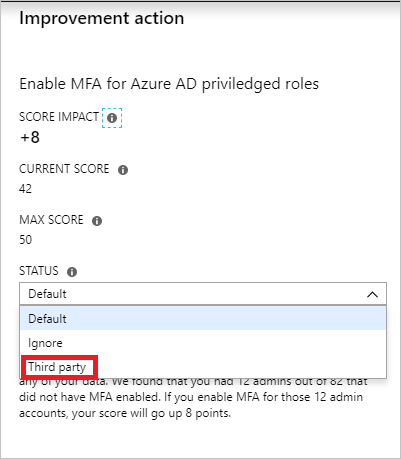 If you are using third-party products to enable a best practice recommendation, you can indicate this in the settings of an improvement action. Additionally, you also have the option to set recommendations to be ignored if they don't apply to your environment. An ignored recommendation does not contribute to the calculation of your score. Who can use the identity secure score? The identity secure score represents the identity part of the Office 365 secure score. This means that your recommendations for the identity secure score and the identity score in Office 365 are the same.